Don’t be alarmed by our regulations! It’s written out to set expectations. Just contact us, or one of our ambassadors if you want further information or clarification. Trail Running Nepal Pvt Ltd, in collaboration with Freedom Adventure Treks Pvt Ltd and Himalayan Uptime Limited, are organising the 13th edition of “Annapurna 100 trail race”, a partial self-sufficiency, mountain trail running race in an alpine environment, from October 25th to 27th 2019. Annapurna 100 km trail race is a running race along trails in the Annapurna Conservation Area that is ~106 km long and has a D+ of 6,000 metres. The race is partly self-sufficient and it starts on Saturday 26 October 2019 at TBA a.m. in Dhampus near Pokhara; maximum time: 28 hours. The 55 km and 42 km GTWS Final have routes listed here. In order to participate in the race, athletes must have had previous experience in the mountains, should not suffer from vertigo, should have a high standard of athletic preparation and have suitable clothes for temperatures that can range from -5 to +30 degrees celsius. Athletes should also have completed a similar distance / elevation trail race before – as a guide, at least one 4 point race as per the new ITRA classification for the 100 km course, and at least one 3 point race for the 55 km & 42 km courses, or have completed a course of similar difficulty. If the last race you did did not have ITRA points awarded, write this race on your registration form with elevation change and distance. We want to check you understand the distance and elevation profile for this race and are able to complete the challenge. Entry is open to athletes aged 18 and over. Medical form is not required but we recommend to all athletes to get a regular medical check. Athletes who have been disqualified for using performance-enhancement drugs shall not be accepted. Registration starts on 1 February 2019 and closes on 01 October 2019. There is no pre-registration and registration is open to all however the Organisers reserve the right to refuse entry if an athlete’s experience is deemed insufficient for the event they have registered for. Places will be filled on a first come, first served basis subject to the registration requirements above. ACAP Trekking permit and TIMS card to enter the Annapurna Conservation Area. Registration fees must be paid by Credit Card. Fees are collected via our partner in payments Trail and Mountain Ltd. The maximum number of participants is 200 registered athletes. If the athlete is unable to participate and wishes to cancel his/her registration, he/she must notify the organisers by email at the following address: refund@annapurna100.com. Reimbursements will be made by 31 November 2019 and it is subject to deduction of bank charges pertaining to refund processing. – participation in other races instead of the race for which the athlete has registered. Should the race be cancelled due to circumstances beyond our control up to 15 days before the race, the Organisers reserve the right to refund 50% of the registration fee paid. This percentage is calculated to enable the Organisers to cover part of the expenses incurred which cannot be recovered. Should the race be cancelled or interrupted for atmospheric reasons, or for any other reason beyond our control, no refund of the registration fee will be made. The race number and race pack distribution at or near Freedom Adventure Treks office (Hallenchowk, Lakeside, Pokhara) as per the times given on the website programme page. – all required equipment for the race. Mandatory equipment may be worn or placed inside the race backpack. All mandatory equipment will be checked when athletes pick up their race bib numbers. The race bib number will not be given to those who fail to show all the mandatory equipment. Furthermore, spot checks will be carried out during the race. The maximum time permitted to reach the finish line is 28 hours (before 08.00 a.m. on Sunday 27 September). A “sweeper” service will follow the last runner, in order to assist athletes who withdraw from the race and to ensure assistance for anyone with injuries. There shall be two time limit/cut off points, where a shuttle jeep shall be present to pick up late athletes and take them back to the finishing area at Siding and Ghachok. Athletes who do not reach these points within the established time limits will not be allowed to continue the race. In order to safeguard the health of the participants, medical staff at the checkpoints have the authority to stop runners who are judged unfit to continue the race. In this case, the participant must follow the indications of the medical staff. Anyone who fails to do so will be immediately disqualified. Participants who reach the checkpoints after the maximum time, those who are injured and those who are judged by the medical staff to be unfit to continue the race, and any other athletes who decide to drop out, shall be escorted to the finish line. For logistical reasons, athletes who have dropped out may have to wait before being accompanied to the finish area. Any participant who drops out of the race at any point other than the established check points should make their own way back to Dhampus and immediately inform the race organisers by text message to the number indicated on the bib number. The athletes are required to run in part self-sufficiency and must carry at least one litre of liquid. There will be refreshment stations along the route as marked on the route map. Only runners carrying a visible race number have access to the refreshment stations. Food and liquids from the refreshment stations must be consumed at refreshment stations; it is strictly forbidden for athletes to drink from the bottles provided by the Refreshment stations: personal cups or flasks must be used. Trash must be thrown into the trash bags present in every refreshment station. Camel bags or water bottles can only be filled with natural water. We advise athletes to bring the necessary quantity of mineral salts to use during the race. When leaving each refreshment station, athletes must have sufficient liquid and food to reach the next station. There is another liquid refreshment point at the finish line. Furthermore, each participant can have a hot meal at the finish line: in order to avail of this hot meal it is necessary to show your race bib. During the day, it will also be possible to make use of the mountain shelters along the route where athletes can purchase food and drink (at their own expense). Assistance from family or team members is permitted at any location however the family or team members are fully responsible for their own transport and security. Pacing and muling are not allowed. Each athlete will receive two bag with his/her race bib in which to place a change of clothes to use at Siding (39 km) and Dhampus (64 km). Once filled with his/her clothes and closed, the bag can be deposited at the start line before the race. Athletes are advised not to place objects of value in the bags; the organisers accept no liability for any theft, loss or damage of bags or their contents. Only bags provided by the organisers will be transported to Siding. Bags with clothes left at Siding may be collected at the finish line upon presentation of race bib. The Organisers will not send uncollected bags to participants’ houses. Bags that are not collected after this deadline will be immediately destroyed for reasons of hygiene. There will be a designated area near the start/finish with changing rooms and a bag deposit, from 9 pm on Friday 22 June. Bags may be collected at the start/finish until and not after 9 am on Sunday 28 Sept upon presentation of race bib. Athletes are advised not to place objects of value in the bags; the organisers accept no liability for any theft, loss or damage of bags or their contents. 100 / 55 km athletes must be in Dhampus by 10.00 p.m. on Friday 25 October 2019 so the organisation can rest. The race will start at 04.00 a.m. (TBC) Those who have not collected bib-numbers by the start may do so after the start. Annapurna 100 trail race race route is for expert level athletes. This itinerary requires the ability to travel on particular kinds of difficult terrain and trails (slopes with rocky outcroppings or debris) that are sometimes without barriers. 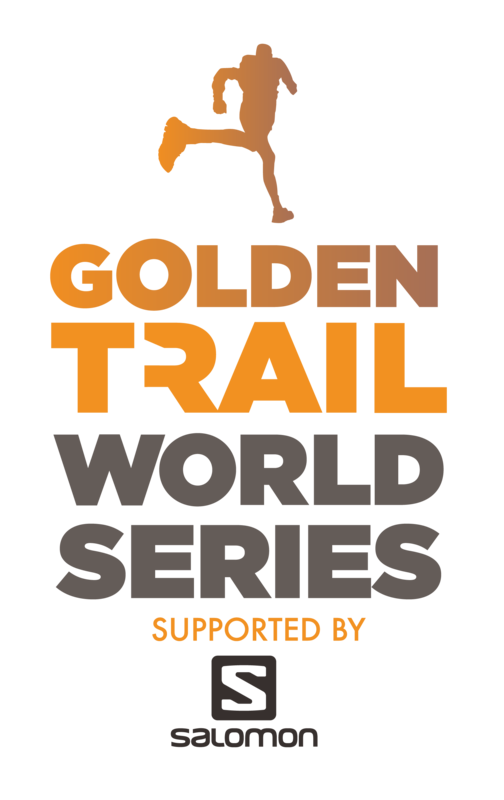 Should adverse weather conditions occur or one or more paths become inaccessible, alternative routes will be outlined at the briefing before the start of the race. Race kilometres are not marked. Athletes should strictly adhere to the marked race route and avoid taking shortcuts or cutting out sections of the route. Any departures from the official route will lead to disqualification and shall be at the sole risk of athletes. Members of the Organisation and of the Rescue Team, in constant contact with Race HQ, will be positioned along the race route. Medical support staff shall be positioned at different points along the race route, but also at the start and finish, where a doctor and an advanced medical facility shall be present. Check points shall be set up along the route, where members of the staff shall monitor the athletes as they pass and also apply random checks to verify that the athletes are in possession of the required race equipment. Should anyone refuse to undergo the check on the required race equipment, they shall be disqualified immediately. The race shall take place in a protected natural park area with a natural ecosystem. Participants are therefore required to fully respect this environment, in particular by not leaving rubbish, picking flowers or disturbing the wildlife. Anyone found leaving rubbish along the route shall be disqualified from the race. In order to reduce the impact on the environment, athletes shall NOT be given plastic cups at the refreshment points. Each athlete shall be required to carry his/her own drinking cup or water bottle, which can be filled at the refreshment points. . In case of adverse weather conditions (dense fog, snow or thunderstorms), the organisers reserve the right to make last-minute changes, even during the race, to the race route in order to eliminate potential hazards or conditions that could cause hardship for participants. The staff shall inform the participants of any changes. The organisers also reserve the right to suspend or cancel the race if the weather conditions are such that they put athletes, staff or medical teams at risk. – failing to have a headlamp, a waterproof jacket, an emergency blanket, camel bag or bottles with a 1-litre capacity. – failure to have: a whistle, spare batteries, long sleeved top, trousers that cover the knees, cap or bandana, gloves, drinking cup or water bottle; failure to show the race number bib. The penalty will be applied immediately where the infringement has been established. There are no cash prizes. Each athlete who completes the race within the maximum time limit will be given a Finisher Medal. Prizes will be awarded on as per the race programme in Dhampus. Prizes will ONLY be awarded at the prize-giving ceremony, they will not be sent or handed out in advance for any reason. On registration, athletes authorise the organisers to freely use any images depicting athletes during their participation in Annapurna 100 trail race, whether still or in movement, with no territorial or time limits. Voluntary registration and subsequent participation in the race indicates full acceptance of the race rules and regulations and any subsequent changes made to them. By registering, participants exempt the organisers from any liability, whether civil or criminal, for damage to persons and/or property caused by or to him/her.